Who doesn’t love aliens? Travis Walton sure does, as is evident in his book ‘The Walton Experience’ (1978), which has since been adapted into a film called ‘Fire In The Sky’, directed by Robert Lieberman (The X-Files), starring D.B. Sweeney and Robert Patrick. 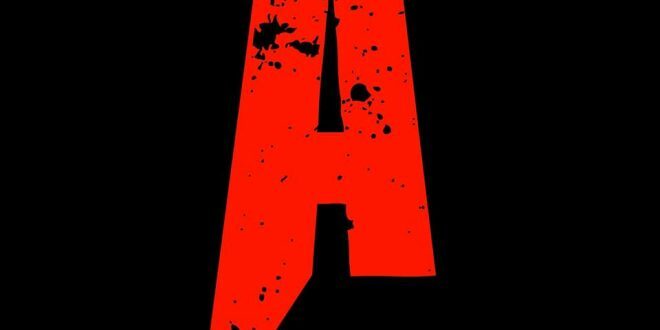 Tinfoil hats at the ready, as the book is based on an alleged true alien abduction story from Walton’s personal experience. 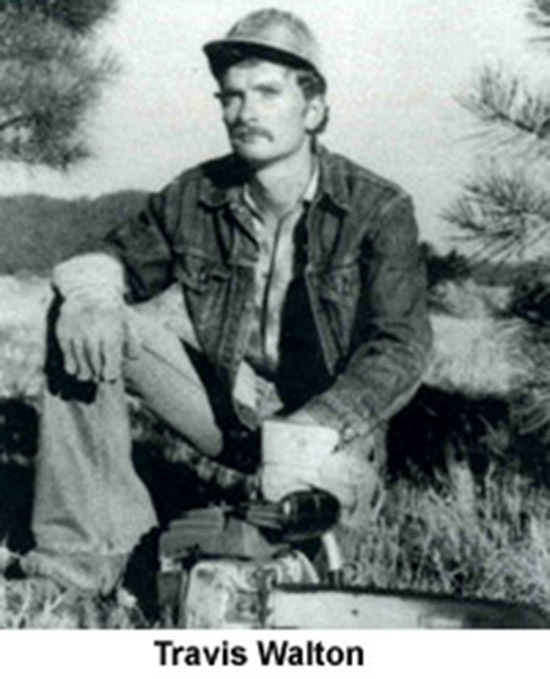 The original story took place on November 5th 1975 and Walton was working with his lumbering crew in the Sitgreaves National Forest situated near Snowflake, Arizona. Whilst in the company of six of his coworkers in a truck, the group encountered a flying saucer-shaped object approximately 110 ft away from them, hovering and making the stereotypical high-pitched buzzing sound that you’ve heard in all of the classic B-movie UFO films. 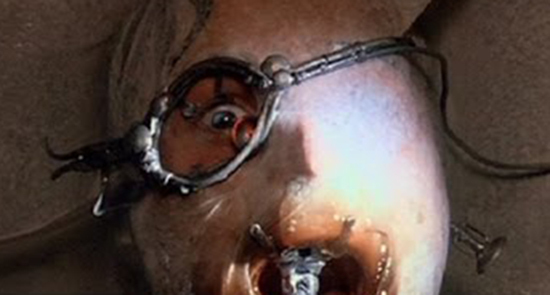 Then it is claimed that Walton left the truck (clearly he never read any of the rules from any horror film ever) and approached the hovering object only to be knocked to the ground by a blinding beam of light. Then, it is alleged that Walton’s now ex-friends abandoned him, driving the truck away in fright, leaving to fend for himself. He then awoke in a room not unlike a hospital room, to find he was being observed by three short, bald creatures (of course, aliens are the most logical and rational explanations, not small men). 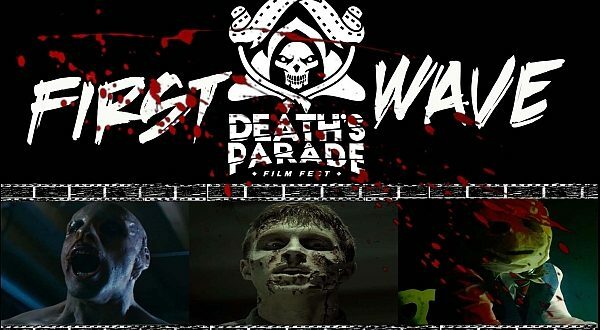 They then left the room and a figure entered the room sporting an unspecified helmet and the figure lead Walton into a different room, where he was met by three more people who placed a clear plastic mask over his face, making him black out. Supposedly, Walton remembers nothing further from that up to the point he found himself wandering a highway, with the UFO departing from above him. Sounds like the average night out for many Americans. 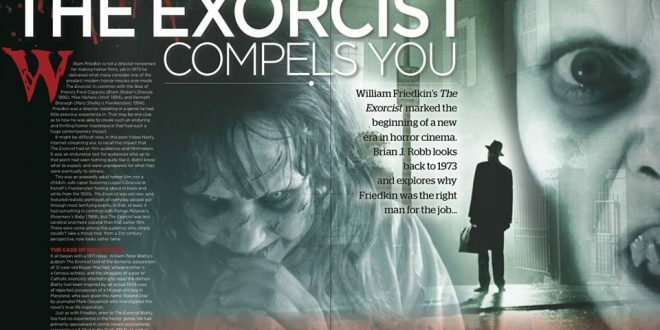 42 years on, this kind of story has been adapted to cinema screens worldwide several times in a whole manner of interpretations, but does this make it true? It probably doesn’t, but that definitely doesn’t make the film adaptations any less entertaining than they would be if there was truth to the tales. 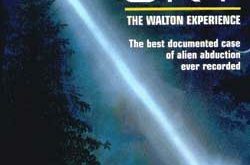 Walton’s compelling story was apparently convincing enough to some conspiracists, as The National Enquirer actually sent Walton and his “friends” $5000 for the “best UFO case of the year”. Turns out being a bad friend can really pay off! They allegedly all passed polygraph tests (for those of you who are unacquainted with the term, a polygraph is essentially a lie detector test) except for one of the friends whose results were deemed inconclusive. For 5 days Walton was believed to be dead, a victim at the hands of his skittish co-worker friends, but this was obviously debunked when Walton returned home unscathed. Since, this case has been subject of a barrage of criticism from sceptical readers. Some believe that the tale was a sensationalised hoax on the part of the media and others believe that it was an easy cash scheme. After all, who wouldn’t lie about being abducted by aliens for a $5000 payout? 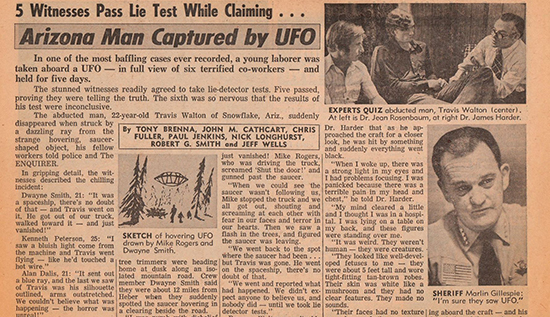 A UFO researcher by the name of Philip J. Klass claimed that the case was a financially-fuelled hoax and he found many discrepancies in Walton’s story. For instance, the polygraph tests were “poorly administered” according to Klass and Walton used many countermeasures, such as holding his breath. Upon digging deeper, Klass unearthed a failed polygraph test that had been deemed a “gross deception” by another examiner. 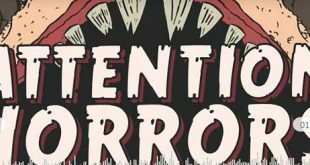 More criticism came from Michael Shermer, who determined that the polygraph test was an inaccurate form of testing and said, “I think Travis Walton was not abducted by aliens. In both cases, the power of deception and self-deception is all we need to understand what really happened in 1975 and after.” To further add to the rapidly building evidence of a hoax case, cognitive psychologist Susan Clancy argued that there was only an influx of claims of abductions and UFO sightings after they started to appear in the media and on TV, thus most likely being influenced by such. Klass had concluded that anyone “with a little amount of imagination could now become an instant celebrity”, which is exactly what Walton did. 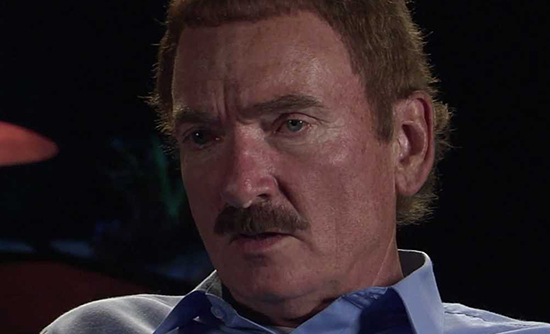 Since the challenges from psychologists and UFO experts, Walton has appeared on numerous TV shows and in 2008 on the game show The Moment Of Truth, he took another lie detector test which determined that he had lied about being abducted by aliens. Also in 2016, Walton made an appearance on the show Ghost Adventures. Truthful or not, you cannot deny that the fame has benefitted Walton greatly and no doubt improved his life. 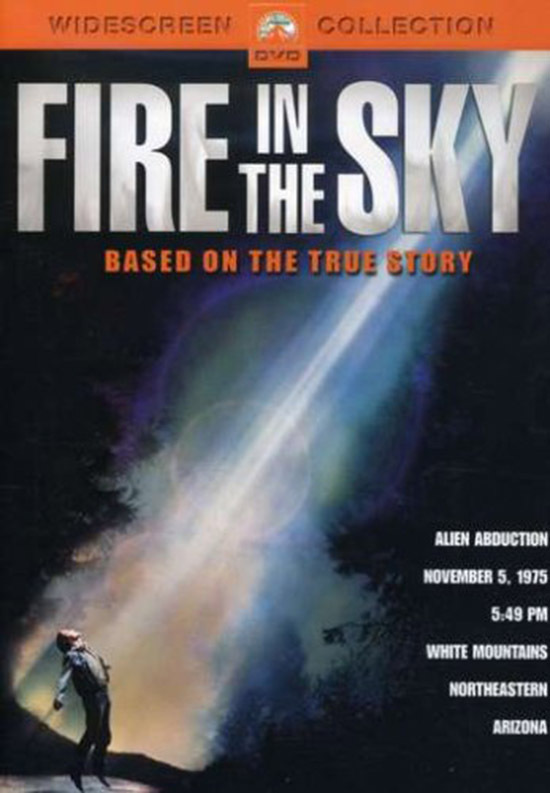 Paramount Pictures produced the 1993 film adaptation, ‘Fire In The Sky’, but determined that Walton’s account of the story was too “fuzzy” and so a screenwriter was hired to rewrite the account into a cinema-friendly story with a flashier and more provocative story. 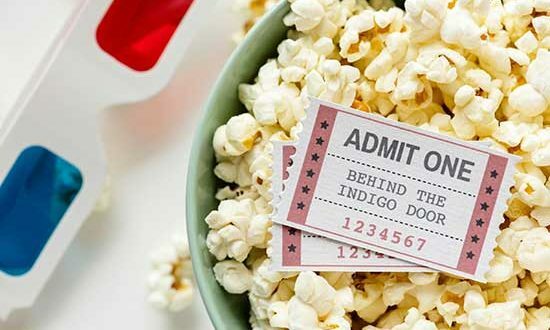 Unfortunately, the film remains relatively insignificant in cinema history and received only slightly positive reviews, citing that only UFO fans should watch the film. The story leaves the lingering question; are we truly alone in this universe? Are UFOs and aliens real and was Walton telling the truth? You decide! 42 years and this man’s story hasn’t changed one word. That should mean something. This article is written with a dismissive overtone. There are also things in it that just aren’t true. Travis Walton never failed a lie detector that was conducted by the police, and even if he did fail one on a show with a rigged examiner, it doesn’t mean that the examiner was being truthful or accurate in their readings. Travis also went back to test again after the show, and both tests showed he was being truthful with modern tests in New Mexico. The Moment of Truth show that he went on had a history of falsifying those tests to fit their narrative. A polygraph instructor even said that the tests that they were conducting, the way that they were conducting them, would NOT show if someone is being truthful or not, so their claim was useless. Their method was proven to provide over 80% false positive results. I’ve spoken with Travis several times now, and I have absolutely no reason to believe that this person is not being truthful.